Give your home curb appeal or create that dream outdoor space you have always wanted. 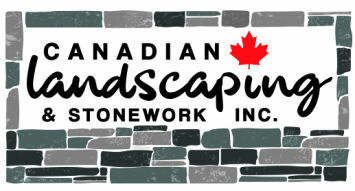 At Canadian Landscaping & Stonework Inc., we work with our clients to create custom stonework designs for patios, driveways, retaining walls, and more. We also provide landscaping services to tie-in the stonework we’ve done on your property. With over 32 years of experience, we continue to offer high-quality designs and workmanship to homeowners in Kitchener-Waterloo, Guelph and the surrounding areas. Kitchener-Waterloo, Guelph and surrounding areas.